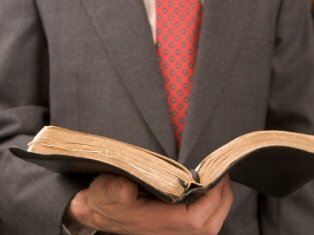 Private inurement and excessive benefit transactions can cost a minister or administrator of a nonprofit up to 25 to 200% times the excessive benefit, cause a church or nonprofit to lose its tax exemption, and cause other church leaders or board members to pay a hefty penalties as well. 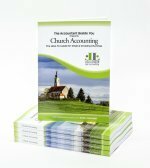 In today's environment, it behooves churches and nonprofits to ensure that everything is IRS compliant and that nothing even remotely could be considered inurement or excessive benefits. In March of 2008, Congress updated and tightened regulations in Section 4958 of the Internal Revenue Code. This section gives the IRS the power to heavily penalize churches and their leaders for inurement violations. Inurement happens when a transaction or exchange occurs and an individual with a personal interest (an insider) in the exempt organization activities acquires economic gain through the use of funds or assets of that exempt organization. An individual who has significant influence over the organization. Insiders could include the minister, board members, officers, founders, major donors, family members of any of the above, and in certain circumstances, employees. Excessive benefit occurs in a transaction or exchange between a tax-exempt organization and one of its "insiders" that furthers private interest, rather than the public interest. (IRC Section 501(c)(3); IRS Treasury Regulation 1.501(c)(3)-1(c)(2)). See more on excessive benefit transactions! The most common example is: "excessive compensation", which the IRS condemns through intermediate sanctions (significant excise taxes) for up to 200 percent times the excess benefit. Be aware this could be something as simple as giving the pastor a percentage of the offerings and not putting a cap on it. See this page on minister's compensation. More examples include the payment of dividends, the payment of unreasonable compensation to insiders, and transferring property to insiders for less than fair market value. Giving the pastor a car without including the FMV of the car in his reported wages could be an example of inurement. An important tip to remember is that no asset should be in anyone's name but the church. See more examples of private inurement and excessive benefits! Inurement is an absolute term. It is strictly prohibited in all nonprofits. There is no de minimis (of minimum importance) restriction. At the very least an organization may lose its nonprofit status. Also, the IRS may impose an excise tax (immediate sanctions)on any insider who improperly benefits from an excess benefit transaction, as well as an organization managers, leaders, board members who allowed the excessive benefit. An insider who benefits from an excess benefit transaction is also required to return the excess benefits to the organization. Detailed rules on excess benefit transactions are contained in the Code of Federal Regulations, Title 26, sections 53.4958-0 through 53.4958-8.